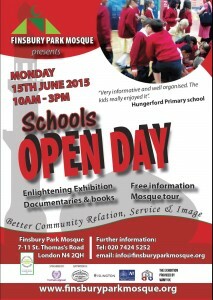 We are glad to announce that our sixth annual neighbourhood open day will be taking place on Sunday 14/6/2015 where we expect more than 500 people from our local community to attend, and we would like to invite you all to join us in this special day to know each other more and build bridges between our communities. 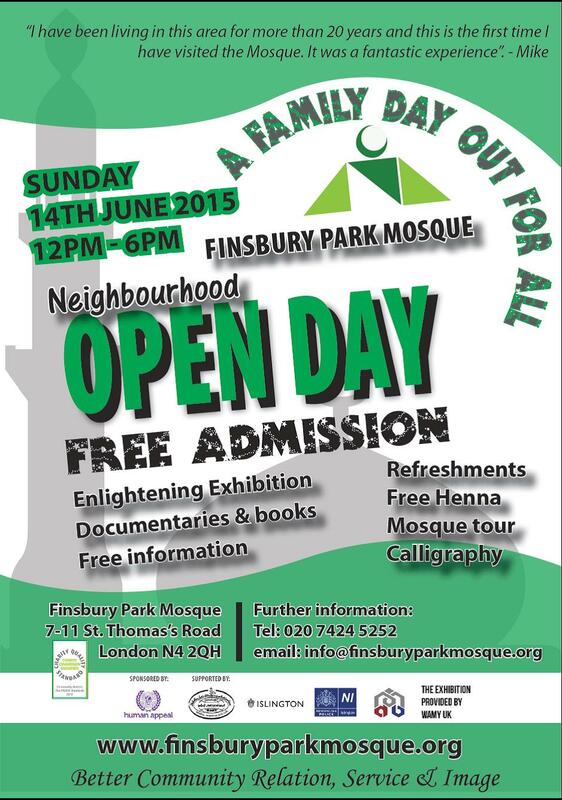 Last year, we had a fantastic event when groups, families and individuals visited our centre and enjoyed our exhibition, films and tour in the mosque as well as henna and graffiti (name written in Arabic style) and we expected this to happen again this year with more attractive functions to take place. We will also have stalls from the local Police and Islington Council and thanks to the fire brigade who agreed to bring a fire engine to be available during the day for awareness and to take pictures as well. Our Imams will be happy to answer any questions and inquiries related to the religion of Islam. 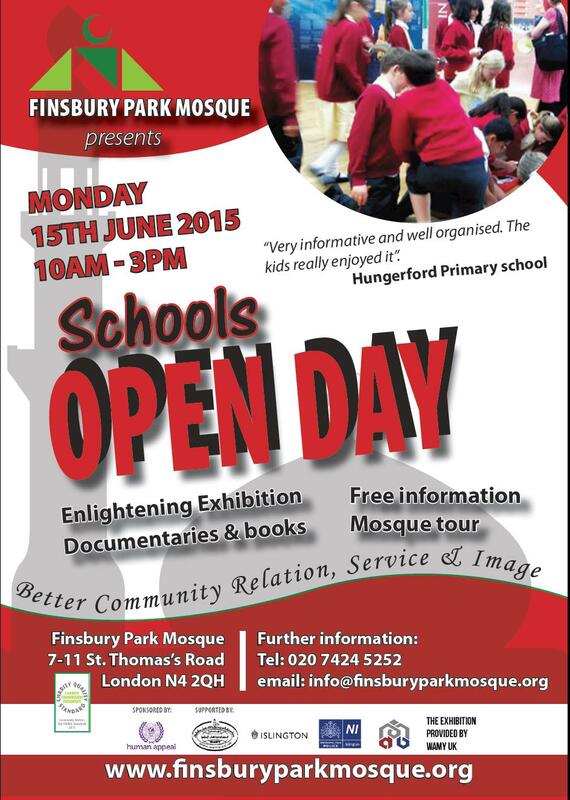 Please find attached the details of the event and we look forward to meeting with you on the day.